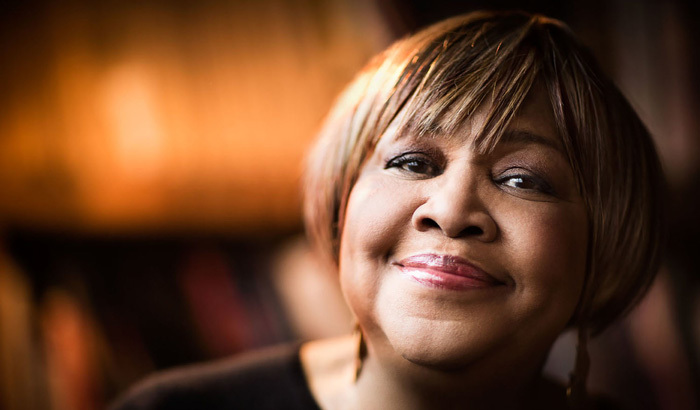 Mavis Staples is one of the most influential American rhythm and blues and gospel singers in history. She received worldwide acclaim as lead vocalist for the Staple Singers. Her music brings together gospel music’s glory with grandeur of soul and R&B music. Staples was born in Chicago, Illinois in July 1939. She began her singing career with her family gospel group at age eleven. The Staples Singers became involved with the Civil Rights Movement by the mid-1960s. Pops’ developed a close friendship with Martin Luther King, Jr. and declared that the group will sing the teachings of Dr. King. They popularized the “message” songs such as “Long Walk to D.C” and “When Will We Be Paid?” which frequently topped the Top 40 charts. A big number of R&B and soul musicians also campaigned for the civil rights movement. Staples established her solo career at Epic Records in the late 1960s, but she never forgot her gospel roots and her commitments with the Civil Rights cause. She recorded We’ll Never Turn Back, a collection of hit songs from the Civil Rights movement and later years, in 2007. Mavis Staples was co-nominated for a 2003 Grammy Award in the “Best Pop Collaboration With Vocals” category for “Gotta Change My Way of Thinking”, along with Bob Dylan. She was also awarded the Americana Music Association’s “Spirit of Americana” Free Speech Award in 2007. Mavis Staples actively participated in the 3rd and 7th annual Independent Music Awards as a judge. She married Chicago mortician Spencer Leak in 1964. The marriage was not successful, and the couple separated after a few years.